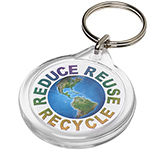 Everybody uses printed keyrings and their popularity stems from their low cost, practicality and fun factor. 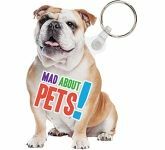 Our huge selection of branded keyrings covers all styles, colours and budget requirements, so a keyring for every potential marketing requirement to guarantee your company logo and message gets noticed! 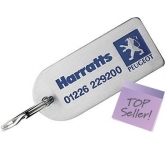 When it comes to boosting your brand profile, keyrings tick all the boxes with their ability to fit into any marketing strategy, budget requirement and with their universal appeal they will be well received by all target audiences. 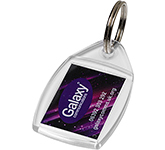 The statistics don't lie, with extensive research carried out by the British Promotional Merchandise Association (BPMA) indicating that printed keyrings are one of the most popular forms of promotional merchandise. 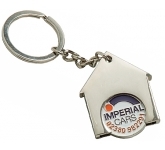 Everyone has a use for a keyring, whether its for holding their office keys, car keys or house keys, simply by their nature they are practical giveaways which appeal to everyone and are used on a daily basis. 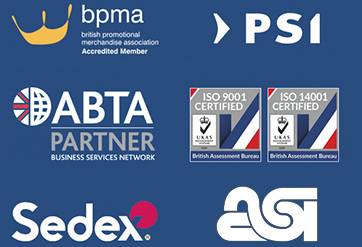 This frequent, daily use will provide your business or organisation with that all important repeat brand exposure. 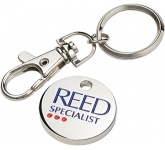 Branded keyrings can remain in use for many years to come before they are either worn out or get replaced. 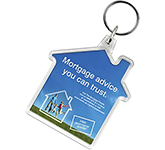 Whether you select budget plastic keyrings or executive metal keychains you can be assured that once printed with your artwork and logo they will provide exceptional longevity for your message. The return on investment from any marketing activity is crucial, and this is why keyrings are one of the most popular choices. 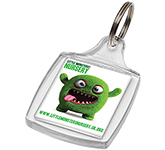 Whether you are a startup business looking for low cost plastic keyrings or a multi-national corporate seeking a high quality executive giveaway, we have keyrings and keyfobs to suit every budget requirement. 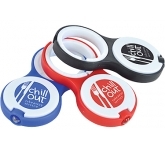 It's vital that your promotional products drive customers and if you giveaway printed keyrings, the potential customer who receives one is guaranteed to see your logo and message as often as they use the keyring thus providing repetitive brand exposure. During the design process remember to add vital information such as your logo and contact details so whenever your potential customer uses their keyring they'll remember your business and services and their first port of call when needed. This is where it gets exciting. 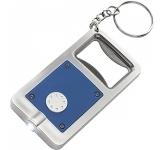 There are so many choices on offer ranging for low cost plastic keyrings, executive metal keyrings, novelty options, trolley coins, keyring torches and designer leather keyrings. With so much choice available there is little wonder why branded keyrings remain such a popular giveaway with business and organisations throughout the UK. 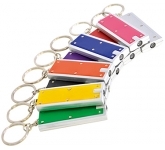 The variety of branding options mirrors the vast range of keyrings on offer. 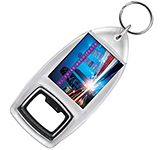 Branding options include screen printing, precision laser engraving, enamel colour infilling, debossing and the very latest in UltraHD full colour print technology ensuring that your personalised business keyrings truly stand out. 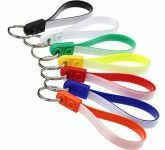 When it comes to distributing promotional merchandise, keyrings represent one of the most flexible options on the market. 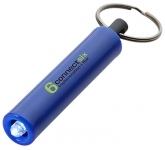 Lightweight and small in nature, these nifty giveaways can be handed out at exhibitions, trade shows, conferences and events. Furthermore, when it comes to mailing campaigns they can fit perfectly into pretty much any size of envelope making any such campaign both practical and cost effective. 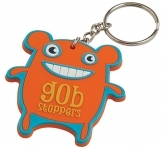 At GoPromotional, we have thousands of promotional keyrings to choose from for your next campaign. We pride ourselves on treating each and every one of our customers like gold dust, which is why you can enjoy highly competitive prices, dedicated account management and fast turnarounds with your order. So, if you are searching for the best value keyrings, and happen to find the same product cheaper, just let us know and we will match the price and back it with our industry Award Winning Customer Service - that's our guarantee!